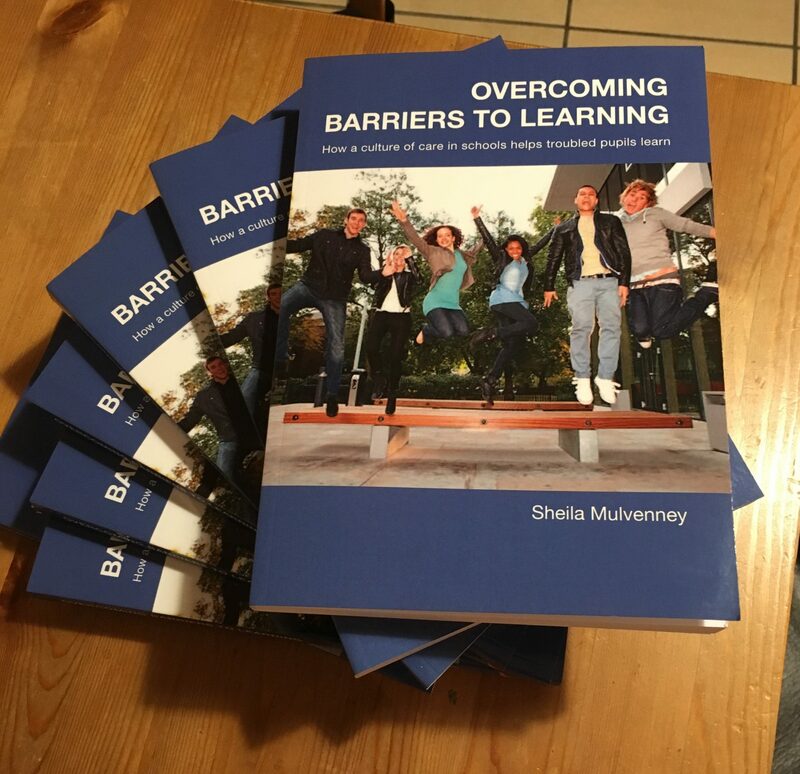 A book for teachers and school staff which explains why some students are not ready to learn and what staff can do to help them overcome the barriers that may exist to learning. All teachers want their pupils to succeed and realise their potential. But there can be barriers to learning for some children and young people; ones they themselves create and others created by the adults around them. 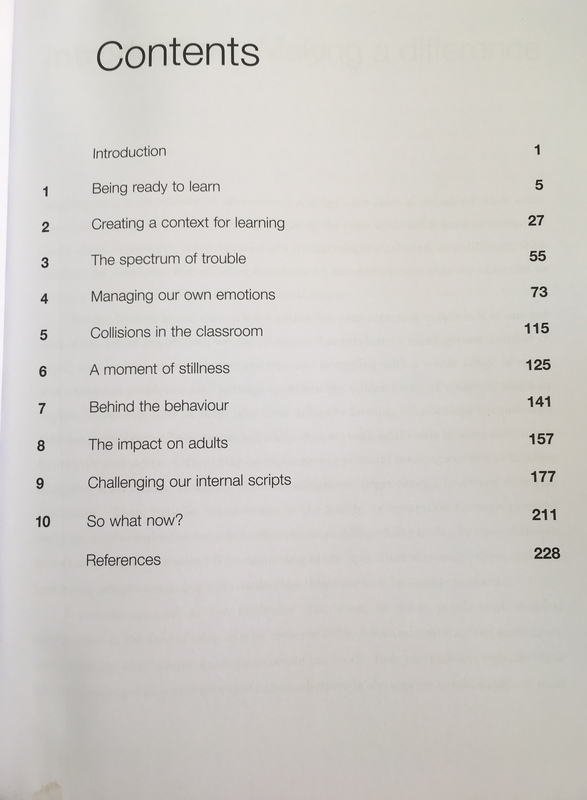 The aim of this book is to help pupils, teachers, and indeed the whole school overcome these barriers. 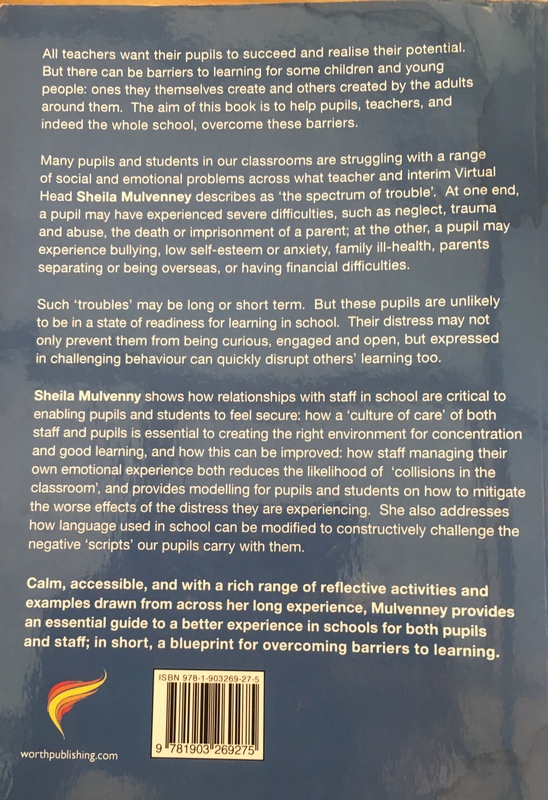 Many pupils and students in our classrooms are struggling with a range of social and emotional problems across what teacher, Virtual School Head and trainer Sheila Mulvenney describes as ‘the spectrum of trouble’. At one end a pupil may have experienced severe difficulties, such as neglect, trauma or abuse, or the death or imprisonment of a parent: at the other, a pupil may experience bullying, low self-esteem or anxiety, family ill-health, parents separating or going overseas, or having financial difficulties. Such ‘troubles’ may be long or short term. But these pupils are unlikely to be in a state of readiness for learning in school. challenging behaviour can quickly disrupt others learning too. Sheila Mulvenney describes how relationships with staff in school are critical to enabling pupils and students to feel secure; how a ‘culture of care’ of both staff and pupils is essential to creating the right environment for concentration and good learning, and how this can be improved; how staff managing their own emotional experience both reduces the likelihood of ‘collisions in the classroom’, and provides modelling for pupils and students on how to mitigate the worse effects of the distress they are experiencing.